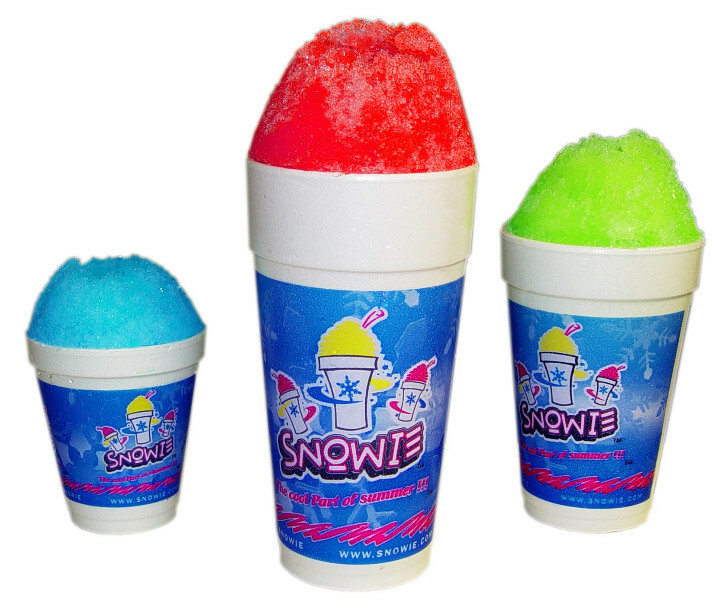 Snowies are not just for kids Adults love to have a refreshing cool Snowie on a warm day. It’s a great way to relax cool off and take a moment to clear your mind. When you step away from your desk and enjoy a flavorful Snowie. You will return back to work with energy and ready to finish your day. What BOSS or Manager wouldn’t want to help give their staff a great break. 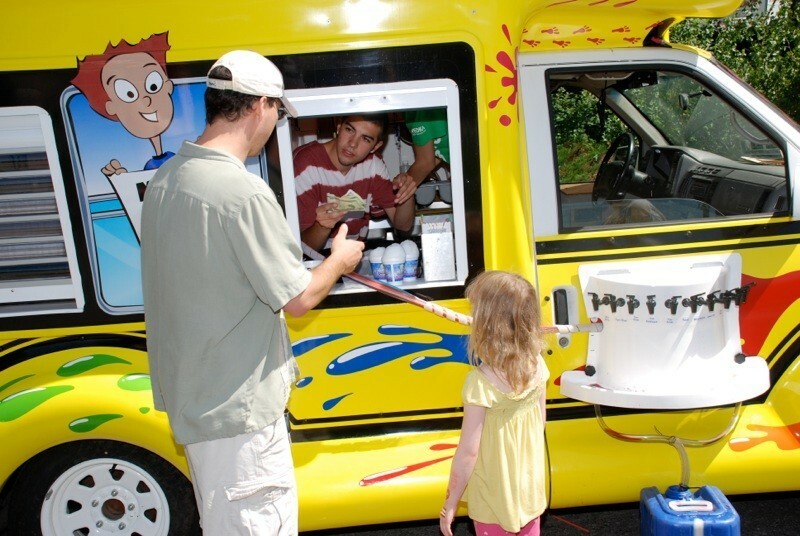 We'll pass out the cups of ice and they will serve themself the flavor or flavors of choice. Research has shown that showing your staff that you appreciate them can really bring up productivity. 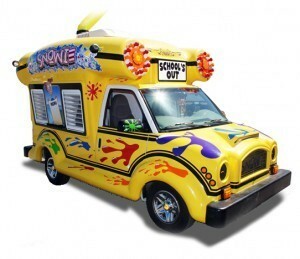 We will drive the Snowie Bus to your location. Let us do all the work yet you get all the credit. You and your company will be all the buzz. A small token of appreciation goes a long way. So don't hesitate un leash the inter child in you and your staff. Click on CONTACT US fill out your contact info and we will contact you.. FIRST 100 SM CUPS ARE $3 PER PERSON AFTER THE 100 THE SM CUPS CAN BE PURCHASED AT $2.25 PER CUP. "THAT'S A GREAT DEAL" DONT FORGET THE GREAT TAX WRITE OFF. SEE YOU SOON.